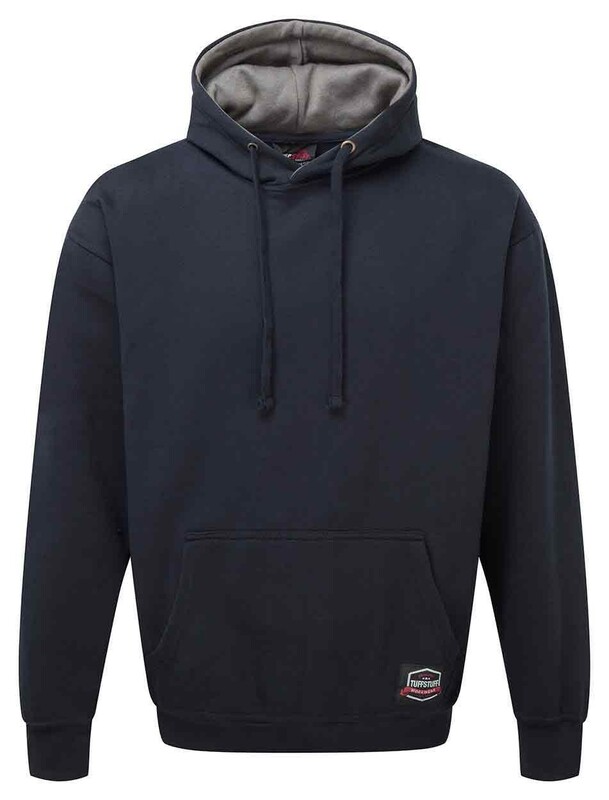 The Tuff Stuff 177 Hendon Hoody is a premium quality workwear hoody. 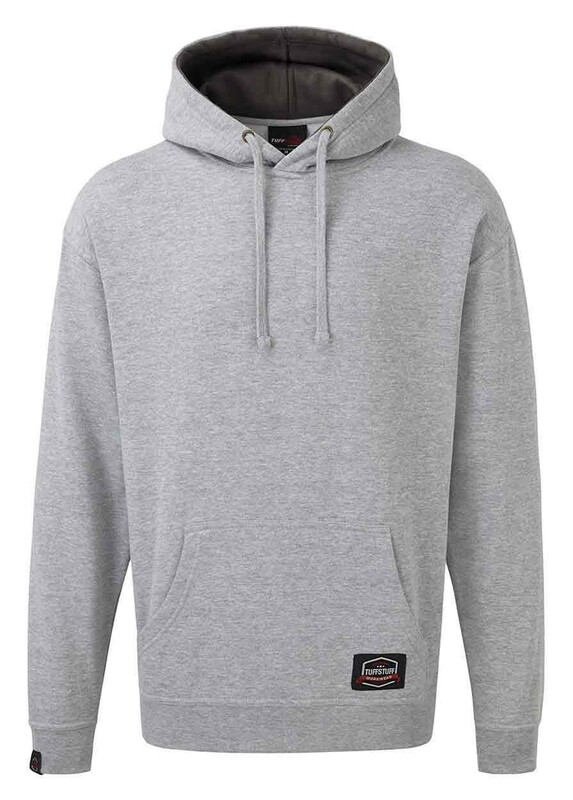 Constructed from 300gsm 50% Cotton and 50% polyester. Double layered contrast inner hood. Kangaroo pocket. Bronze eyelets and flat drawcord. Discreet embroidered Tuff Stuff logo. Good quality with a nice heavy feel, good good. 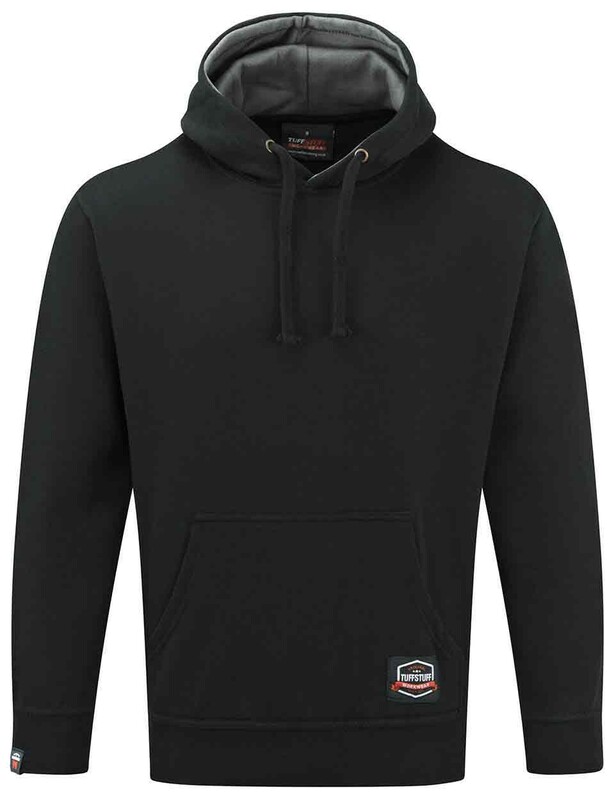 The hoodie fits in quite a baggy way for the sizing but good arm and body length keeps it comfortable.